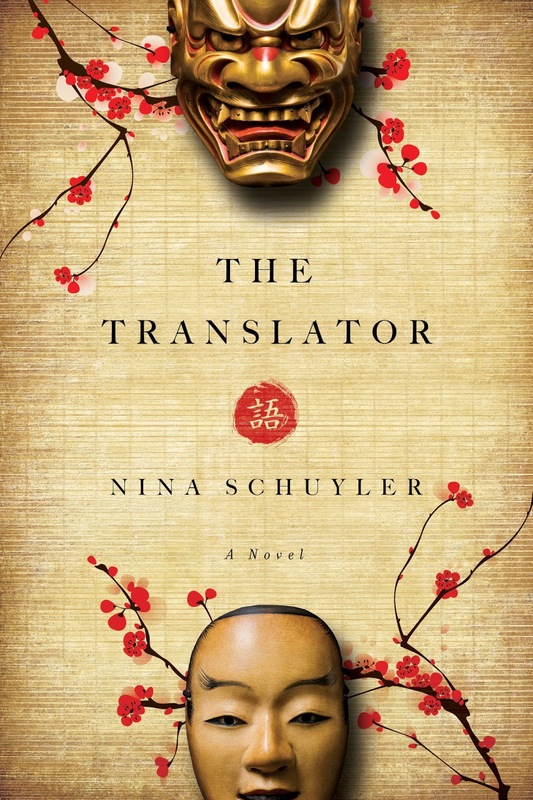 Today’s spotlight shines on novelist Nina Schuyler as she talks a bit about her book, The Translator. As Nina does a virtual book tour for The Translator she is also sponsoring a giveaway that includes a copy of the book and a packet of bonsai seeds for the Japanese cherry blossom (the blooms featured on the cover of The Translator.) To be entered for a chance to win the giveaway, use the form below. Welcome, Nina. Please tell us a little bit about yourself. I grew up in Washington State, on the west side of the Cascade Mountains, where the rain and heavy gray clouds are a constant, but everything's green green. That green, I think, is in my blood forever. There were four of us, four girls, and I was the second oldest. I could always be found reading a book, in bed, on the couch, a lawn chair. I think it caused my parents grave concern--will this girl ever venture out into the world? The Translator is my second novel, and it won the 2014 Next Generation Indie Book Award for General Fiction and was shortlisted for the William Saroyan International Writing Prize. It was also named a Recommended Book by the San Francisco Chronicle, and has been translated into Hebrew, Taiwanese and Chinese. My first novel, The Painting, was nominated for the Northern California Book Award and named a Best Book by the San Francisco Chronicle. Nina Schuyler teaches creative writing at the University of San Francisco and Book Passage. Please tell us about your current release, The Translator. When renowned translator Hanne Schubert falls down a flight of stairs, she suffers from an unusual but real condition ― the loss of her native language. Speaking only Japanese, a language learned later in life, she leaves for Japan. There, to Hanne’s shock, the Japanese novelist whose work she recently translated confronts her publicly for sabotaging his work. Reeling, Hanne seeks out the inspiration for the author’s novel ― a tortured, chimerical actor, once a master in the art of Noh theater. Through their passionate, volatile relationship, Hanne is forced to reexamine how she has lived her life, including her estranged relationship with her daughter. In 2007, I read an article in The New Yorker, "The Translation Wars," by David Remnick about a married couple busy re-translating all the great Russian novels into English. They'd originally been translated by an English woman, Constance Garnett, and she'd done a poor job of it. As a girl, I devoured Russian literature, and, it turned out, I'd read the Garnett translations. The article got me thinking about translation, which I'd never really considered before. When you read a translated book, whose story are you getting? What is the process of translation? Where does subjectivity come into the picture? The name Moto Okuro meant nothing to Hanne, and she doesn’t know much about the ancient Japanese theater art of Noh, except masks are used for different characters, and the characters speak in a stilted, almost unintelligible language. There’s music to contend with, and almost like a Greek play, a chorus. She’d have to read Kobayashi’s Trojan Horse Trips herself first, on her own terms, she told the publisher. Only if she understood the main character would she be able to successfully translate the book into English. At her enormous blackboard, custom-made to take up one entire wall, she begins to write a sentence in Japanese. Iradachi, the Japanese word for frustration. Of course you are frustrated, Jiro, thinks Hanne. You’ve brought your wife from one doctor to another, and more than a year later, there is no sign of improvement, no answers. You are in the same place you were three, five months ago. And what has become of your life? Turned into something unrecognizable, you no longer know who you are. I'm not sure what's unfolding. Something to do with the blend of history and contemporary, and how family secrets bleed into and distort the present moment. I'd always been an avid reader, but I think the awe and reverence I felt for what writers could do on the page stopped me. Or at least made me doubt that I could ever create something worthwhile. I still have that awe, and I'm glad about that. My sense of myself as a writer began through journalism, as a newspaper reporter. I wrote for a legal newspaper, covering criminal law and employment, and anything else I stumbled upon. I had to file 10-15 stories a month. That job taught me to turn outward to the world, to be curious and ask questions and explore. I find that muscle is there in my fiction. For The Translator, I interviewed nine literary translators, to understand how they work, and read a great deal about translation theory. With two children, I've learned to be very flexible in terms of time and my goals. I write every day, not necessarily a lot, but something. When I reflect on my writing life, I see I'm pretty good at transitioning--from making breakfast, getting the kids to school, to sitting down and writing. Or after dinner, baths, bedtime stories, homework, I sometimes find myself at my desk again. I always keep a notebook nearby, so if something comes to me, I write it down. When you're in the thick of something, it's interesting how the world hands you these gifts. A snippet of conversation that seems to fit perfectly into the story; a gesture, an image, an idea. As a writer, I've learned to cobble together a life, in order to pay the bills. I teach writing, fitness classes, interview lawyers for a trade publication, edit novels and short stories. Right now, I think I have five jobs. I fiddle with language-- a lot. I print out a passage and go over it, reading it out loud, changing words. Print it out again, again. A writer friend of mine introduced me to the work of Russian psychologist, L.S. Vygotsky, who believed that we come to know ourselves and our world through "inner speech." It's a private language, almost preverbal, that comes closest to pure meaning. I think I'm listen to the way words sound, but also this private speech. Oh, I had such dreams of being a professional tennis player. I could see it, right down to my bright white shoes, my ankle socks and tennis skirt. I'm grateful for the opportunity to talk with you. I love hearing from readers and can be reached at ninaschuyler@gmail.com.